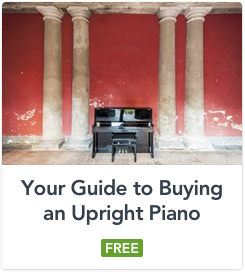 Be the first to hear about our latest pianos, download our FREE Guides & get ongoing playing tips. Want to get rid of your old piano? Don't miss out! Be the first to hear about our latest pianos as soon as they're available. It's FREE.